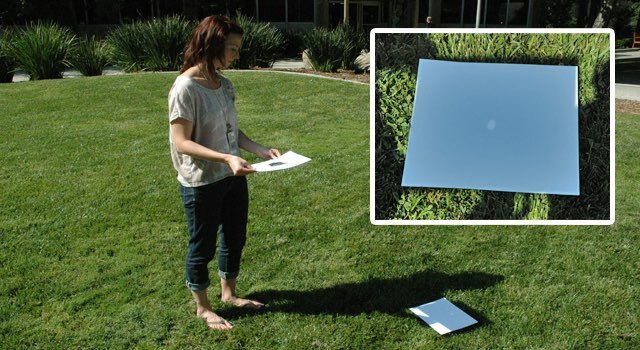 You don’t need fancy glasses or equipment to watch one of the sky’s most awesome shows: a solar eclipse. 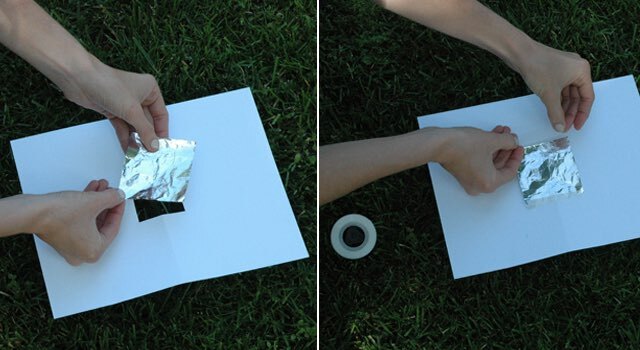 With just a few simple supplies, you can make a pinhole camera that lets you watch a solar eclipse safely and easily from anywhere. Before you get started, remember: You should never look at the sun directly without equipment that’s specifically designed for looking at the sun. Even using binoculars or a telescope, you could severely damage your eyes or even go blind! Solar eclipses themselves are safe. But looking at anything as bright as the sun is NOT safe without proper protection. And no, sunglasses do NOT count. 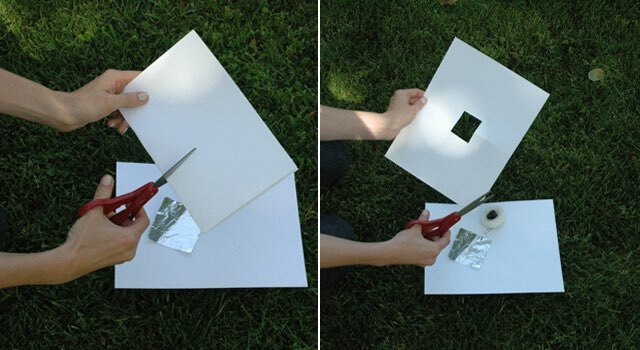 Cut a square hole into the middle of one of your pieces of card stock. 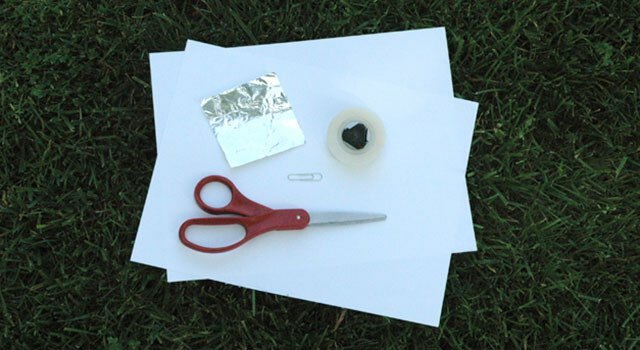 Use your pin or paper clip to poke a small hole in the aluminum foil. 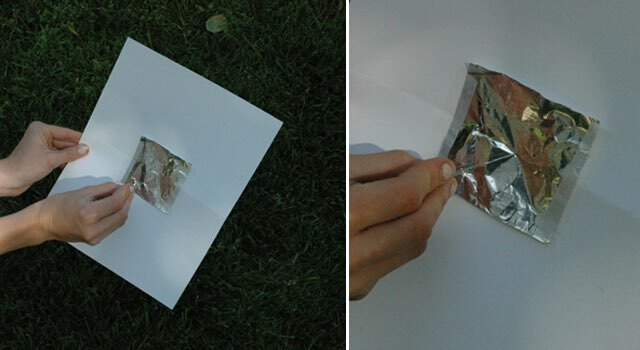 Place your second piece of card stock on the ground and hold the piece with aluminum foil above it (foil facing up). Stand with the sun behind you and view the projected image on the card stock below! The farther away you hold your camera, the bigger your projected image will be. 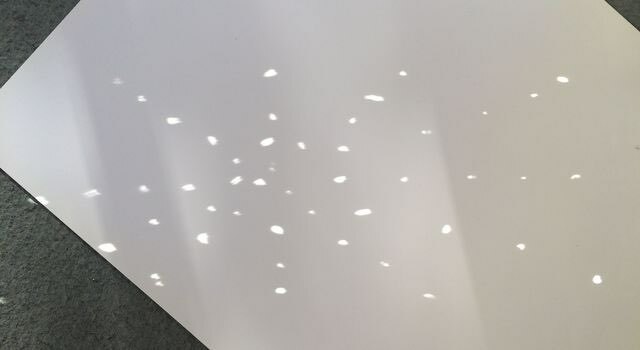 To make your projection a bit more defined, try putting the bottom piece of card stock in a shadowed area while you hold the other piece in the sunlight. Courtesy NASA/JPL-Caltech. Original article can be viewed here.